Inspirational and motivational speaker Chris Gardner draws on his extraordinary life story to share the lessons he has learned for overcoming adversity and improving performance. This life story became an autobiography, The Pursuit of Happyness, a New York Times and Washington Post #1 bestseller as well as an Academy Award nominated movie starring Will Smith. Gardner comes from the hardest of backgrounds, with poverty, domestic violence and sexual abuse being just some of the challenges he has had to overcome. After a spell in the Navy he worked as a medical research associate; when his son Christopher Jr. was born he began to apply for training programs at brokerages despite having no experience. When Christopher’s mother left him Gardner fought to keep his son, determined that he would not grow up without a father as Gardner himself had done. Despite earning a place on the Dean Witter Reynolds training programmed Gardner became homeless, as he could not afford rent from his training salary. Nonetheless he managed to gain a place at Bear Stearns & Co where he was a top earner, and then founded his own brokerage firm Gardner Rich with just $10,000 of start-up capital. 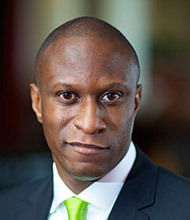 He sold his share in this firm in a multimillion-dollar deal and is currently CEO of Christopher Gardner International Holdings. Gardner’s experience of homelessness and being a single parent has led him to involvement with many philanthropic organizations, including the National Followed Initiative, the National Education Association Foundation and the International Rescue Committee. He has won many awards for his work, including the NAACP Image Award for the book and movie versions of his autobiography, the Los Angeles Commission on Assaults Against Women Humanitarian Award and The Continental Africa Chamber’s Friends of Africa Award. His experience in both the business and philanthropic worlds have made him much in demand, with appearances on CNN, CNBC, Fox News, Oprah and The View to name but a few. In print media he has been featured in People, USA Today, The New York Times, Fortune, Entrepreneur, Reader’s Digest, Chicago Tribune, San Francisco Chronicle and The New York Post, amongst many others. Chris Gardner is an Entrepreneur, Author, Philanthropist, and single parent whose work has been recognized by many esteemed organizations. The amazing story of Gardner’s life was published as an autobiography, The Pursuit of Happyness, in May 2006, and became a New York Times and Washington Post number one bestseller. The book spent over twenty weeks on The New York Times bestseller list and has been translated into more than forty languages. Gardner was also the inspiration for the movie, The Pursuit of Happyness, released by Columbia Pictures. Will Smith starred as Gardner and received Academy Award, Golden Globe and Screen Actors Guild nominations for his performance. Gardner was an associate producer on the film. In his second New York Times bestselling book, Start Where You Are: Life Lessons in Getting from Where You Are to Where You Want to Be, Gardner shared his philosophies on, and the crucial steps behind, creating a fulfilling, successful life. The book provided a much-needed blueprint for navigating tumultuous times with positivity, courage, tenacity, discipline and common sense. Born in Milwaukee, Wisconsin, Christopher Paul Gardner’s childhood was marked by poverty, domestic violence, alcoholism, sexual abuse and family illiteracy. Gardner published his autobiography out of a desire to shed light on these universal issues and show they do not have to define you. Gardner never knew his father, and lived with his beloved mother, Bettye Jean Triplett (née Gardner), when not in foster homes. Gardner is indebted to Bettye Jean for his success as she provided him with strong “spiritual genetics” and taught him that in spite of where he came from, he could chart another path and attain whatever goals he set for himself. Gardner worked at Bear Stearns & Co from 1983-1987 where he became a top earner. In 1987 he founded the brokerage firm Gardner Rich in Chicago from his home with just $10,000. Gardner Rich, LLC, a FINRA registered broker-dealer specializing in servicing public pension funds and Taft-Hartley plans. In addition to expanding its core business as an institutional securities broker, Gardner Rich increased its participation in corporate underwriting and expanded its brokerage services to include trading in global markets through both ordinary and ADR form. Gardner has also been honored by the NAACP Image Awards with awards for both the book and movie versions of The Pursuit of Happyness; Los Angeles Commission on Assaults Against Women’s (LACAAW) Humanitarian Award; The Continental Africa Chamber of Commerce’s Friends of Africa Award; The Glaucoma Foundation’s Kitty Carlisle Hart Lifetime Achievement Award; The Securities Industry and Financial Markets Association (SIFMA); Covenant House, Common Ground and other organizations committed to combating violence against women, homelessness, and financial illiteracy—issues of the utmost importance to Gardner. Chris Gardner’s aim, through his speaking engagements and media projects, is to help others achieve their full potential. 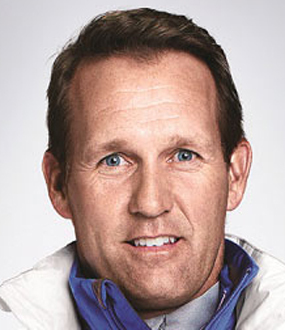 His practical guidance and inspirational story have made him a frequent guest on CNN, CNBC and the Fox News Channel. He has been featured on The CBS Evening News, 20/20, Oprah, Today Show, The View, Entertainment Tonight, as well as in People, USA Today, the Associated Press, The New York Times, Fortune, Entrepreneur, Jet, Reader’s Digest, Trader Monthly, Chicago Tribune, San Francisco Chronicle, The New York Post and the Milwaukee Journal Sentinel, amongst other publications. 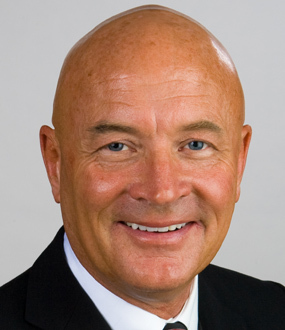 Gardner has two children and resides in Chicago. “There's something just as lethal [as drugs and alcohol]–it's called life," explains Chris Gardner. Drawing on his own life experience, Gardner shows how sometimes events can overtake you, but that by sticking to your fundamental beliefs and principles you can overcome adversity. “I promised myself at five years old that when I grow up and have children my children are going to know who their father is," he says, explaining how his own experience of growing up without a father made him all the more determined to look after his own son and to provide for him. Entrepreneur and author Chris Gardner is a dynamic and inspirational professional speaker. Basing his presentations on his own experience of overcoming adversity from living on the streets to CEO of a major financial company, he shares his message of self empowerment and shows how with the right techniques odds can be beaten and cycles can be broken. 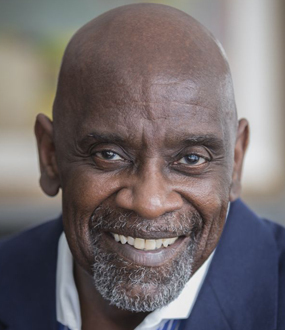 In addition to his work as entrepreneur and author, Chris Gardner has become one of the most dynamic and inspirational professional speakers active today. Surmounting acute obstacles throughout his life, Gardner shares with his audiences the keys to self-empowerment, and the message of beating the odds and breaking cycles. His presentation has been enhanced to include much of the pragmatic wisdom featured in his second book Start Where You Are. The astounding yet true rags-to-riches saga of a homeless father who raised and cared for his son on the mean streets of San Francisco and went on to become a crown prince of Wall Street. More than a memoir of Gardner’s financial success, this is the story of a man who breaks his own family’s cycle of men abandoning their children. Mythic, triumphant, and unstintingly honest, The Pursuit of Happyness conjures heroes like Horatio Alger and Antwone Fisher, and appeals to the very essence of the American Dream. Chris Gardner’s astonishing memoir—the phenomenal New York Times bestseller, The Pursuit of Happyness, which inspired the film of the same name starring Will Smith—served as a shining beacon of hope for countless people. In Start Where You Are, “a book that teaches you how to transform the impossible into the possible” (Sidney Poitier), Gardner offers indispensible life lessons in getting from where you are to where you want to be.